But last night I wanted to try a recipe inspired by Andy Richer from Pok Pok. I used his basic recipe but added a few things of my own, and altered some of his existing ingredients. The overall result was delicious. 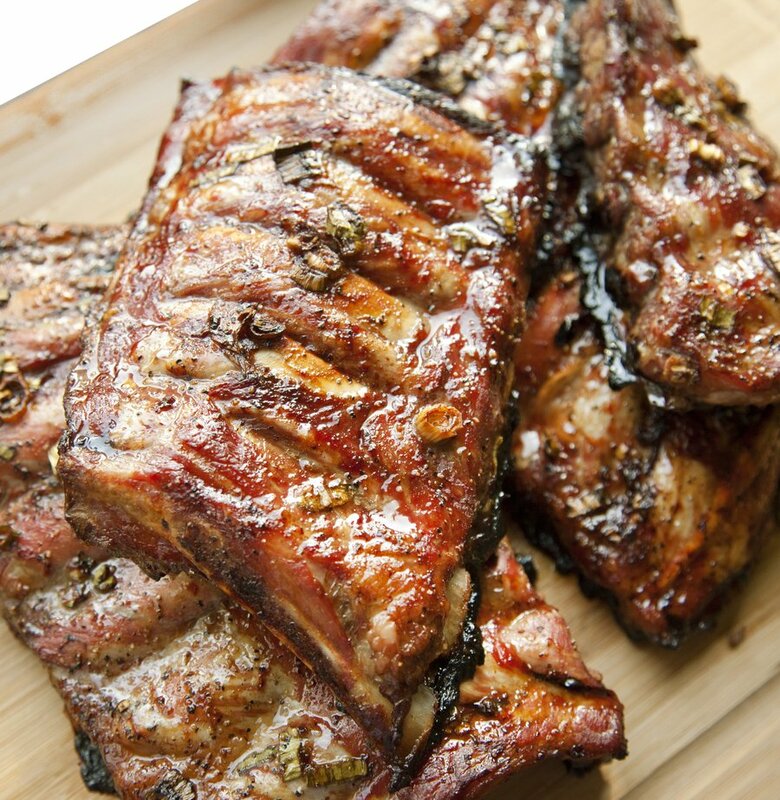 The crucial part of this recipe is adding the lime juice on top of the ribs at the end. 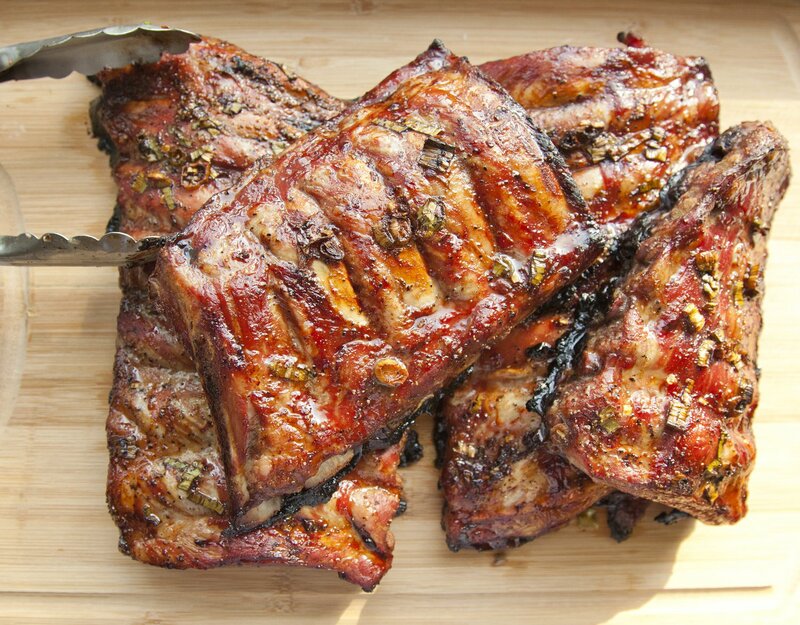 The lime juice brings out all the flavors in the marinade like some kind of magical ingredient - it’s amazing, and I am ever impressed by the powers of the lime. 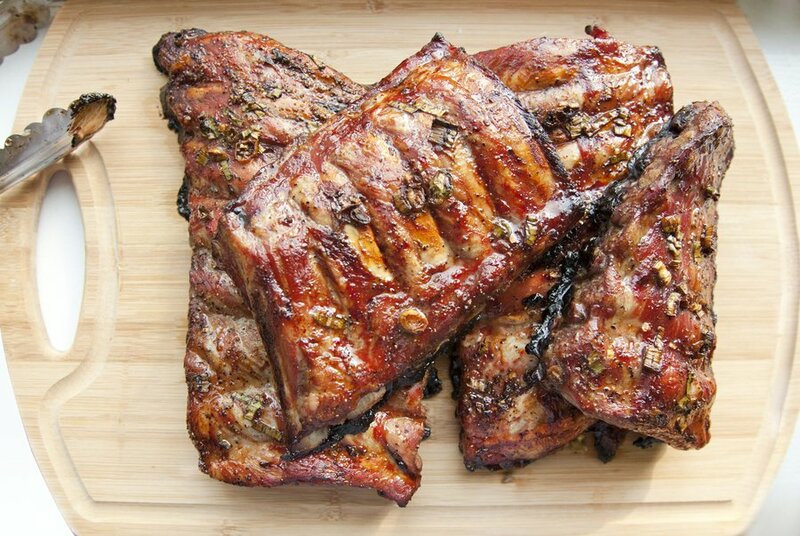 If you do have a BBQ, you can cook these the same way as I have written below, but at the part where you baste the ribs in the honey, you do that part on a grill and cook the ribs for about 4 minutes just to get that yummy grill flavor. Preheat your oven to 300 degrees and line a baking sheet with tin foil. 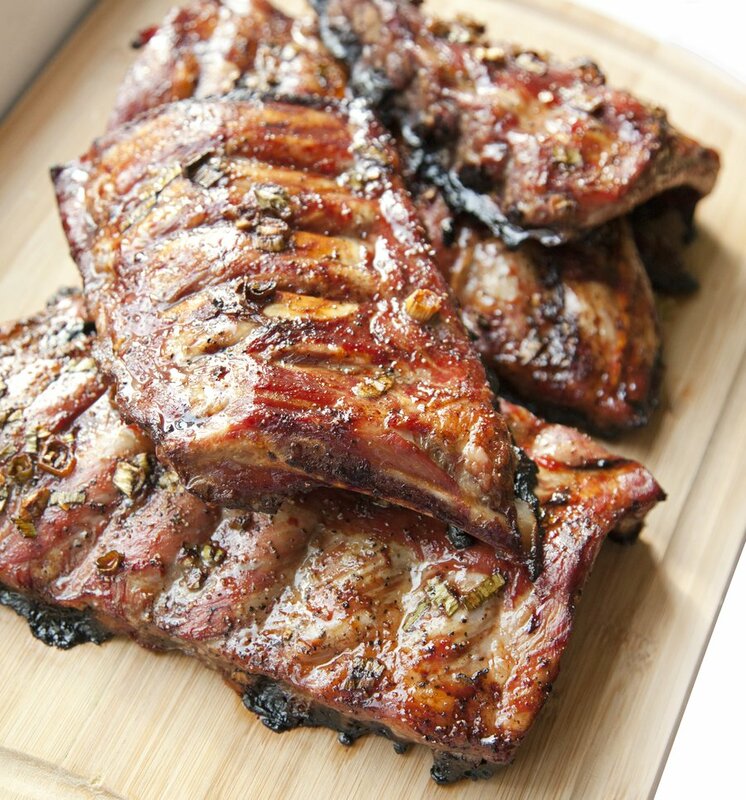 Place your ribs, meat side up, on the baking sheet (not over-lapping). 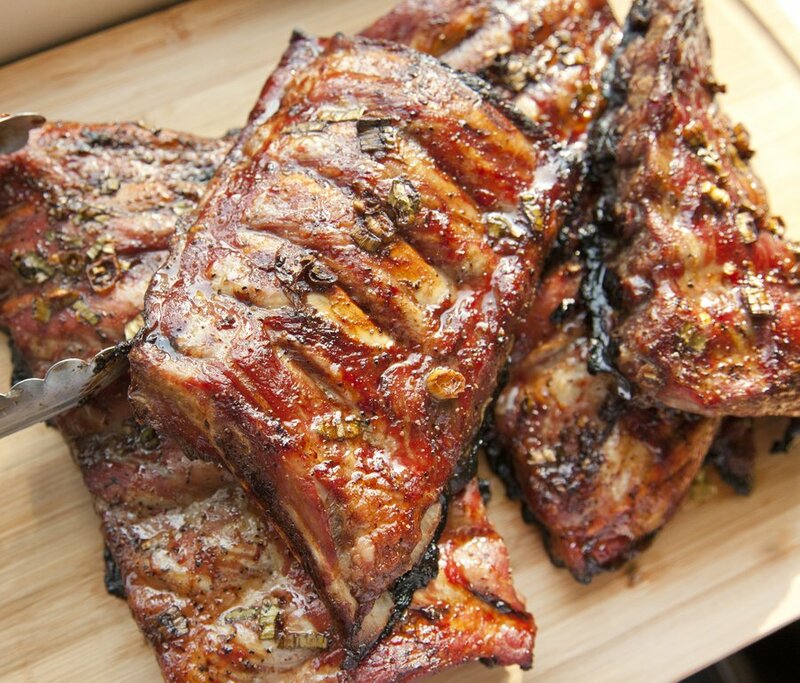 Pour the excess marinade over the ribs and bake in the oven for 2 hours. In a small bowl combine your soy sauce, whiskey, 3 Tablespoons of Honey, ginger powder, black pepper, sesame oil, cinnamon, nutmeg, scallion and garlic chili sauce. Whisk together until incorporated. 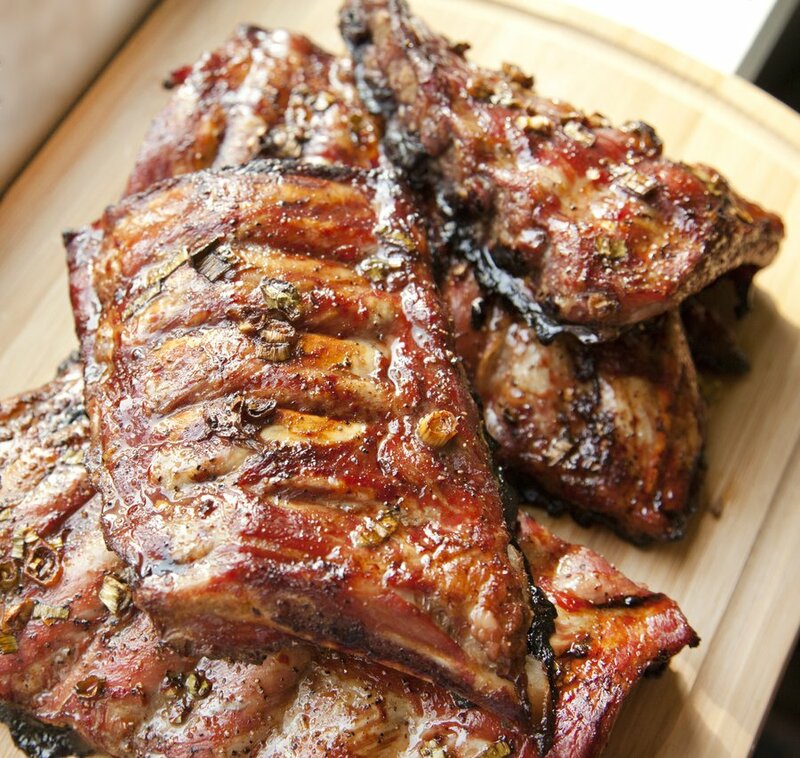 Lay your ribs in a baking dish and pour the marinade over them. Cover and refrigerate at least 3 hours. After the 2 hours is up, in a small bowl mix together the rest of your honey with 1 tablespoon of hot water. Stir to combine. 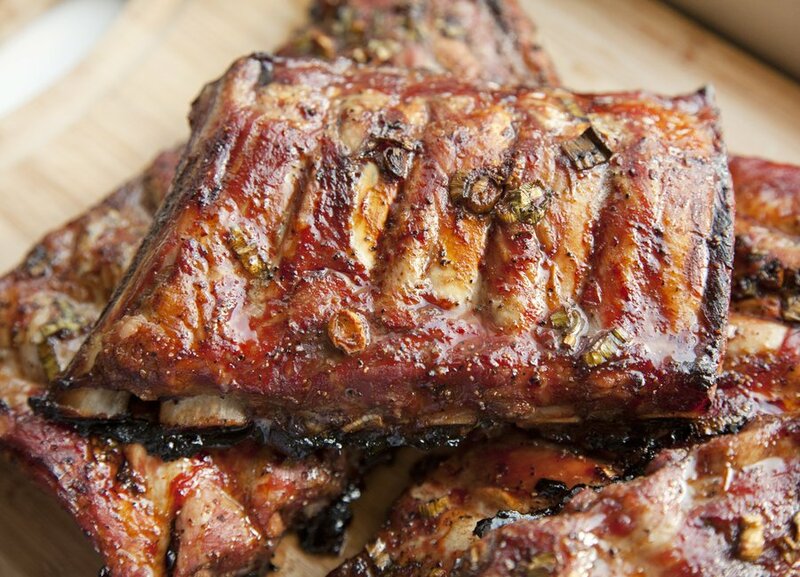 Take your ribs out of the oven, and baste with this honey mixture. Bake another 10 minutes. Remove from oven and immediately pour the lime juice on top. Serve hot.